So says UK based, Hot Creations & VIVA signed producer (amongst others) & DJ, Hauswerks. Some talents just have it and that's that. Some just make this music making stuff look quite easy and from the get go, this is how it’s been for Hauswerks who recently saw his singles, “Swamp Donkey” & “The Illusionist” light up the charts with co-producer, Doorly and got a nice signing from Jamie Jones’ Hot Creations imprint. 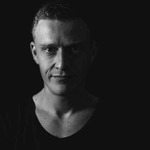 A hugely supported artist from Steve Lawler, Mark Knight, Annie Mac, Pete Tong and numerous other A-listers its safe to say that this guy has the credentials to teach us a thing or two in the studio. Nothing but love to Hot Creations on this one for giving us the permission to use, “The Illusionist” single for his debut course with FaderPro where Hauswerks takes us from start to finish on what was the inspiration behind and the technical skill in creating such a gem of a record. Starting with his drums & percussion and bussing & processing, to his melody and the bass to how & why he arranges his music the way he does to constantly & meticulously adding final elements & tweaks until the record is perfect in his own head to creating that mixed & mastered & DJ ready record, Hauswerks leaves nothing to our imagination with this one. A true reverse engineering masterclass and with a very credible record that was played by all the house masses. A perfect course for any DAW, but Hauswerks is a Logic Pro user so if you are using that, then follow along step by step!